With the introduction of the latest iPhone 6 and iOS 8, the craze has started all over again. Each time there’s a new Apple product, we can see long queues of people waiting to get their hands on the latest Apple product and it has even become like a trend or an in-thing to be able to get a new Apple device as soon as it is launched. That’s why you would need a reliable iPhone data recovery for Mac in case something untoward happens to your precious device. 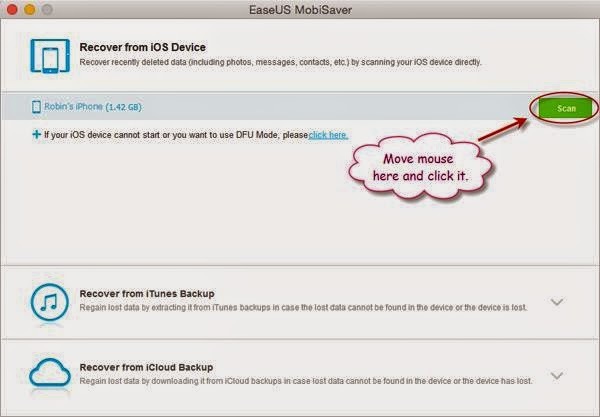 Here comes EaseUS MobiSaver which is the data recovery software for your iPhone, iPad and iPod Touch. It is also compatible with the latest iPhone 6 & iOS 8 that also supports iPhone 6 Plus recovery and extract the data from an iTunes backup. It is a solution that you can use to recover deleted contacts, SMS, Notes, Videos and Photos under all kinds of scenarios; be it data loss from accidental deletion, iOS upgrade or if your device is lost or broken. There are two recovery modes in the iPhone data recovery for Mac software that are available. The first one is to recover from an iOS device that doesn’t have backup. In this instance, the data loss normally occurs after an accidental deletion or iOS upgrade failure. There have been many users reporting that there are problems when they upgrade from iOS 6 to iOS 7 or from iOS 7 to iOS 8. Also when there’s problem with the device or the device is damaged but it can still be recognized when it is connected to a PC. Or when the device is locked and you have forgotten the password but in an urgent need to start the process of iPhone 6 Plus recovery. The second recovery mode is to recover from an existing iTunes Backup. This can be used especially for cases where you experienced data loss due to accidental deletion or from a nasty virus attack. Also if your device was lost or broken and can’t successfully connect or detected by your PC. Finally due to an iOS upgrade failure or even jailbreak failure where it shows that the device is stuck at the white Apple logo or always in recovery mode. All it takes to perform the iPhone data recovery for Mac are 3 simple steps and that means your iPhone Plus 6 recovery can be completed very quickly. 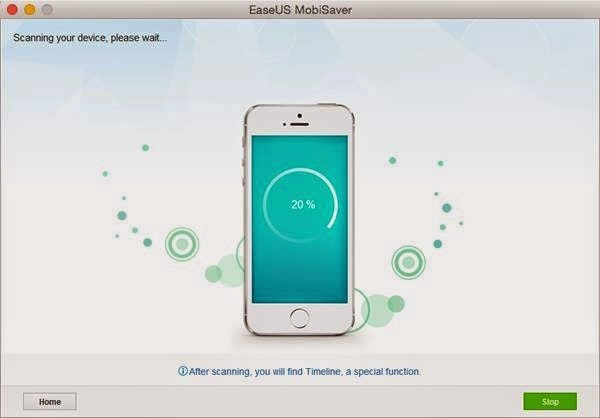 The first step is to connect your device to your PC that you have installed EaseUS MobiSaver on or to search for an existing iTunes backup. Next is to start the actual Scan and finally the third step is to Preview and Recover where you can preview the lost data content before proceeding to confirm and recover it. You can also then Export and save recovered contacts in various format such as VCF,CSV, HTML.Message attachment that also includes text, picture and audio. 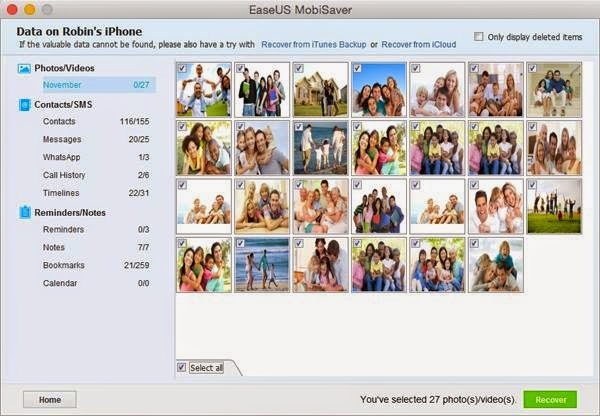 EaseUS MobiSaver is a very reliable and easy to use iPhone data recovery for Mac. So the next time you’re in trouble, you know where you can find help to perform that iPhone 6 Plus recovery.